Tree: My roots stretch far, young one. I can see everything on this planet. Tree: Unfortunately, I cannot help you. I cannot create enough food with my magic to sustain your villages. Cahe: What?! Our villages are small. Surely you can keep us alive until we regrow! 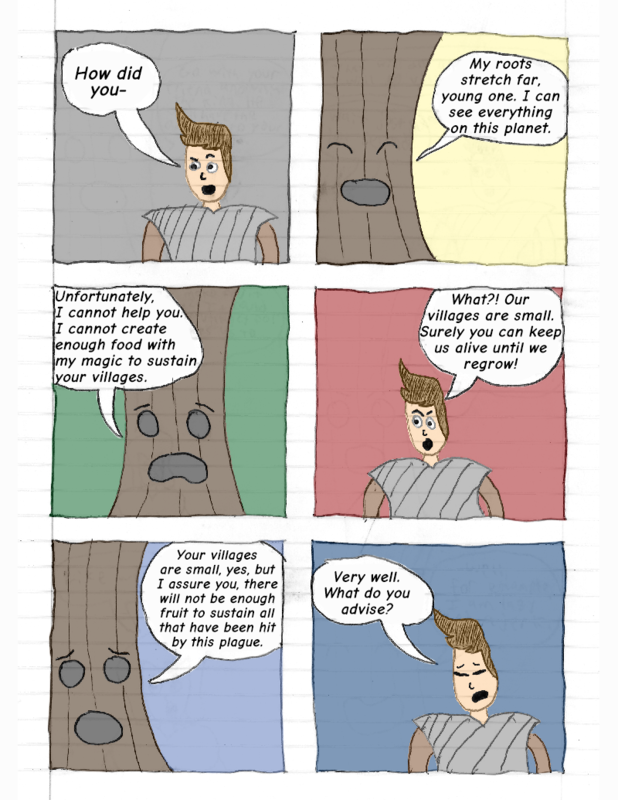 Tree: Your villages are small, yes, but I assure you, there will not be enough fruit to sustain all that have been hit by this plague. Cahe: Very well. What do you advise?